Bouquets of flowers were very popular and this pattern was published in the McCall’s transfer book Vol IV in 1977. It would still look right at home on a linen towel, hanging in your kitchen. 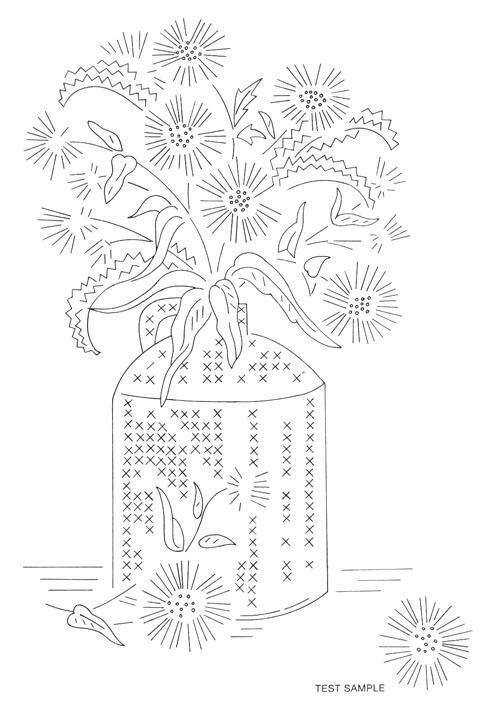 This vintage pattern would look stunning in blue work on an eggshell background or you could use a fully coloured version on a pure white. Just right for gift giving when going to a summer party.